Are you planning to renovate your kitchen? Looking for exquisite kitchen cabinets’ option within your budget? That’s a requisition in every home owner’s mind. Moreover, renovation of kitchens takes a lot of time which hampers the daily activity of any household. Be it the hassles or the hefty price-tags, many homeowners tend to overlook investing in kitchen cabinets or refurbishing them. However, there is no denying that, if you are aiming to have a standout kitchen, smartly-designed kitchen cabinets can do wonders with it. Kitchen cabinets are excellent storage furniture that offers specified storage space for all types of kitchen essentials. 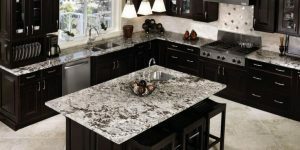 They come in a wide array of designs and colors that effortlessly add drama to an otherwise plain kitchen. This furniture is a perfect mix of utility and style. Its design enables in closeting almost of all kitchen essentials and cooking utensils, drainage pipes or chimney ducts, thus, offering a clean sterile cooking area. Designers for long have favored the use of kitchen cabinets in kitchens as it adds aesthetic value to a kitchen. Even, homeowners are fast trying to kick up on this trend, as they identify the practicality of the furniture. Moreover, the different colors in kitchen cabinets like white kitchen cabinets, can transform the interiors of the cooking area giving it a unique design. For example, for a dreamy classical kitchen, installing white kitchen cabinets can instantly give it an all white effect, exuberating a classical feel. Though there were hardly any doubts of the effectiveness of kitchen cabinets, a reason a lot of people could not opt for it was the high prices. 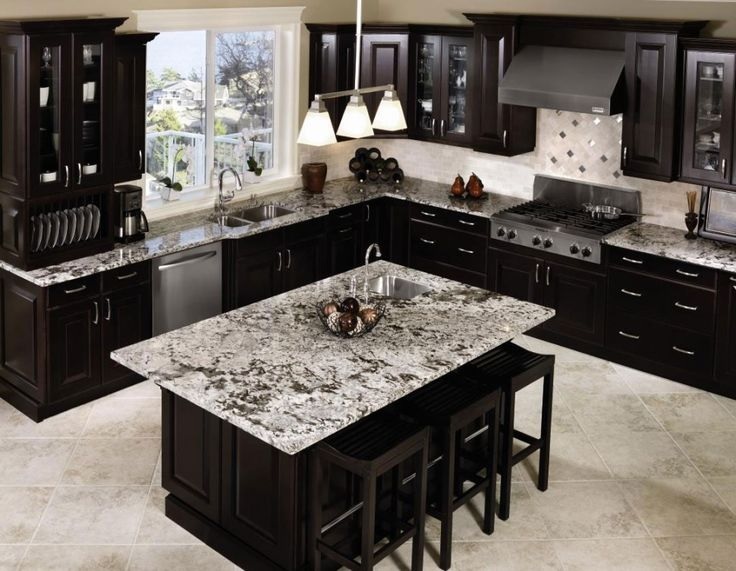 Over the years, manufacturers are offering kitchen cabinets at affordable rates. Colors are and will always be an important aspect of designing interiors. Traditionally, bright or soothing hues have been the most popular picks. Such hues are known to attract light which helps in brightening up the space. This is especially true for white kitchen designs, the most popular kitchen decor color. White kitchen cabinets in different styles have been used through the ages to design both classical as well as an ultra modern kitchen. The light shades reflect light and therefore gives a Snow White feel. Apart from white, designers have been enthusiastic with the other color choices in the palate but had given a royal snub to black. However, this was to change, as modern designers are keeping no stones unturned to include the dynamism and panache of black in kitchen designs. These designers are using black kitchen cabinets or furniture in refreshing new ways generating unique interior design ideas. As black absorbs light, designers are blending this hue with brighter decors, thus, successfully creating unique standout interiors especially in kitchens. 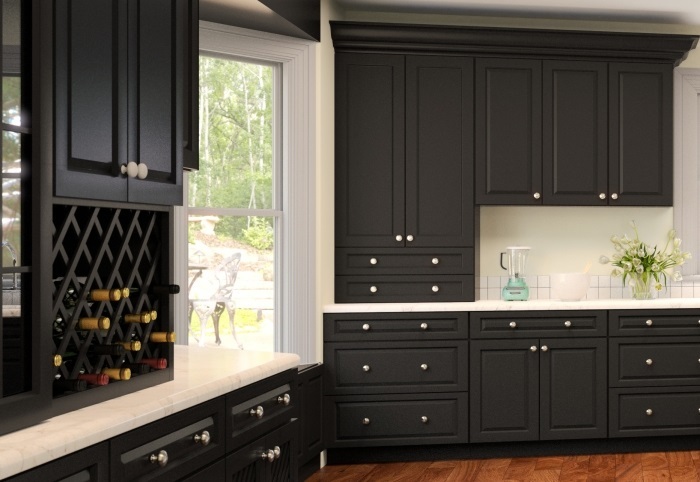 So, if you are on a budget and looking for extraordinary interiors for your kitchen, you can consider using black kitchen cabinets for the decor. It is opposite to the traditional white kitchen, easily making a statement. Now the big question of affordability! A lot of the potential customers bury their aspirations of having kitchen cabinets as they are often highly expensive, especially the custom-built cabinets. In addition, such custom-built cabinets take an indefinite timespan to be built. However, like the shift in color choices for cabinets or interiors, there has been a shift in the way kitchen cabinets are built. Furniture manufacturers have identified the apprehensions and are quick to offer alternatives of custom-built cabinets with ready-to-assemble or RTA kitchen cabinets. RTA cabinets are pieces of cabinets that can be easily assembled by an individual. The pieces of the cabinet are generally shipped within two days of placing the order. Most importantly, RTA cabinets are made of highly durable materials that are well within the budget. All you need to do is check the catalogs offered by RTA cabinet manufacturers. Just browse through, for the exact hue of white kitchen cabinet or an exquisite design in black kitchen cabinet. You will be spoilt with options. Just order the cabinet of your choice and wait till it’s delivered at your door-step. 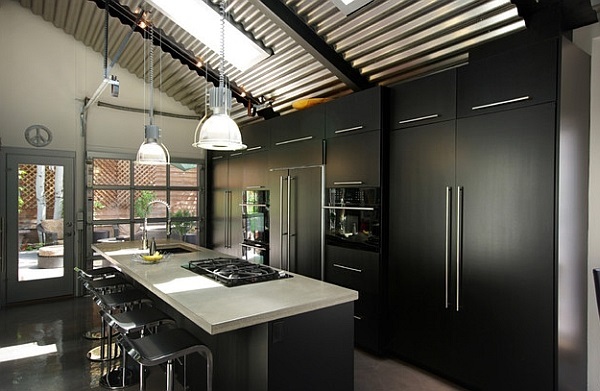 If you dream of exquisiteness in the cooking area, try to make fashion bold choices, and go for black kitchen cabinets. Make a bold decor statement, hard to follow. The best part is you don’t need to spend your bounty for it.